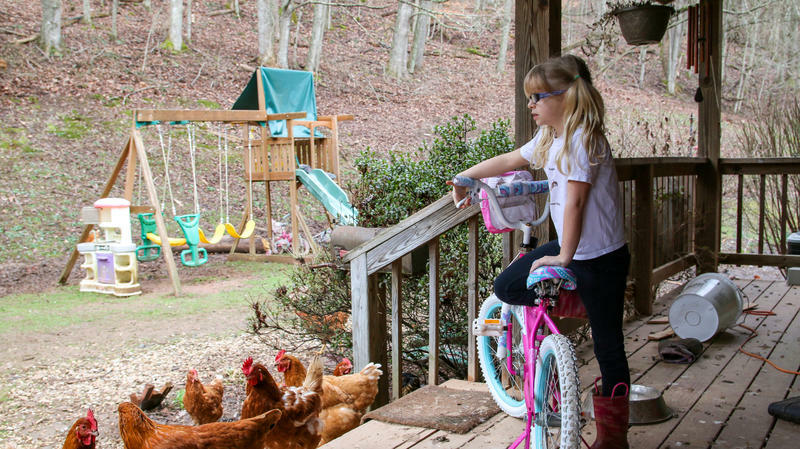 Six-year-old Abigail Grandon on her family's farm in Clay County. Her dad, army veteran Eric Grandon, says he’s found therapy through farming and beekeeping. Grandon is 50 years old. His struggles with PTSD went undiagnosed for decades, but he said he started having symptoms back in 1990. His wife noticed, but they didn’t talk about it for years. Now, four years after he started farming, he said he feels like he’s gotten his life back. Many of the veterans who have gone into agriculture echo Grandon’s claim that agriculture, and beekeeping specifically, is therapeutic. There aren’t any scientific studies on this, at least none that have been published, but anecdotally, many advocates of veteran farming programs say they’ve seen beekeeping help people like Grandon. Grandon said even the sound of the bees has become a comfort to him. “If I have trouble sleeping, which a lot of people with PTSD do, I listen to a recording of the beehive. That sound is enough to put everything out of my mind, so I can sleep," he said. 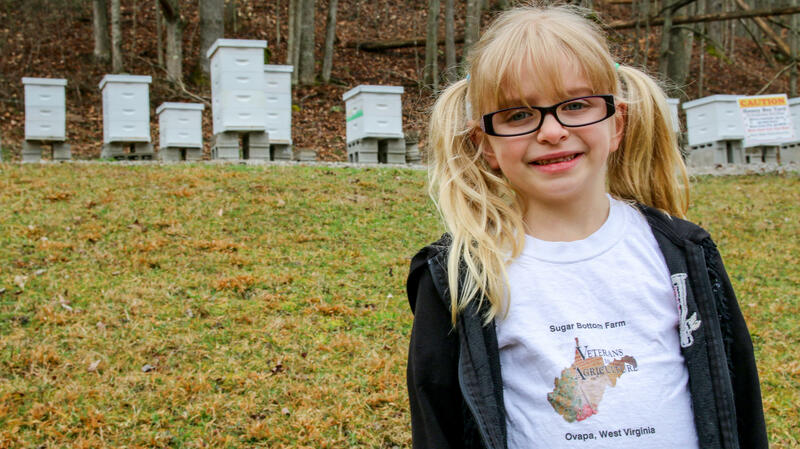 Eric Grandon's six-year-old daughter likes to help her dad with beekeeping. Abigail’s dad, army veteran Eric Grandon, says he’s found therapy through farming and beekeeping. "They defended and secured our country, and every one of those people have a heart and they know there's kids in those schools that are not getting a decent meal at their house. And every one of them that I talk to…they can't stand the thought of a kid going home hungry. "- James McCormick, coordinator for the Veterans to Agriculture Program in W.Va.
An analysis of Veteran Affairs and Census data conducted by West Virginia Public Broadcasting found that nine percent of West Virginians are veterans, higher than the national average. The mountain state has the fifth highest number of veterans per capita in the nation. According to the Department of Health and Human Resources, 40 percent of West Virginians who called the state’s suicide lifeline last year were veterans. 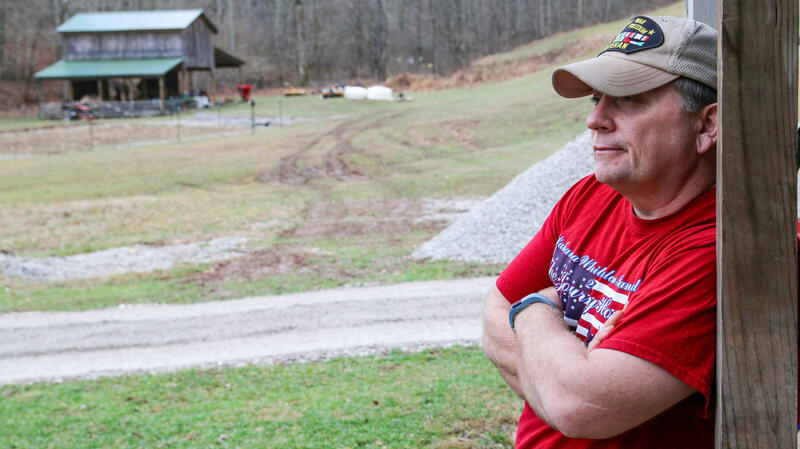 The new West Virginia Commissioner of Agriculture, Kent Leonhardt, a veteran himself, is asking the state to invest in West Virginia veterans. He wants lawmakers to budget $250,000 for the Veterans and Warriors to Agriculture program. This would be the program’s first state budget appropriation, if the legislature approves what Leonhardt is asking. On the federal level, the United States Department of Agriculture (USDA) gives veterans higher priority when they apply for financial aid and grants for start-up supplies and labor. Federal incentives are also available for veterans looking to build their own small businesses. James McCormick, the Veterans and Warriors to Agriculture coordinator, said the veterans he works with are passionate about selling their produce to local schools. “They defended and secured our country, and every one of those people have a heart and they know there’s kids in those schools that are not getting a decent meal at their house," McCormick said. "And every one of them that I talk to … they can’t stand the thought of a kid going home hungry." “In farming and ranching, there is an appreciation for the land. You are part of something that is bigger than yourself,” explained Lanon Baccam, deputy director with the Farmer Veteran Coalition, a national nonprofit that assists military veterans looking for careers in agriculture. 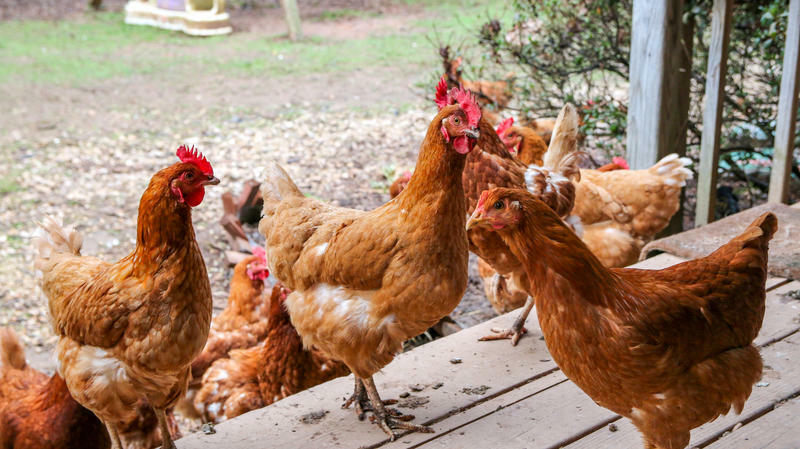 Bacaam said West Virginia’s Warriors to Agriculture Program is a perfect example of a growing movement of veterans exploring agriculture for therapy, especially in rural communities across the country. “If you’re a farmer, you’re raising and growing a lot of food. That’s food that your neighbor, your family and your friends and around the U.S. are going to eat," she said. "That’s way bigger than yourself. And in the military, these guys get it. They’re part of something bigger than themselves." Music in today’s show was provided by Dinosaur Burps, Ben Townsend, Doctor Turtle, Michael Hitchcock, The Bing Brothers and Wilco, as heard on Mountain Stage. Our “What’s in a Name” theme music is by Marteka and William with “Johnson Ridge Special” from their album Songs of a Tradition. Patrick Stephens is our Audio Mixer. Suzanne Higgins edited our show this week. Roxy Todd helped produce. Jesse Wright is our executive producer.